Pour Vida Latin Flavor has opened in Anaheim’s Center Street Promenade. Owner/executive chef Jimmy Martinez, who previously worked at BOA Steakhouse and 41 Ocean Members Club in Santa Monica, oversees this relaxed Mexican restaurant, whose menu places an emphasis on tacos. The venue also serves up salads, along with fresh-pressed juices, craft beer and wine. Lunch & Dinner daily. Pour Vida Latin Flavor, 185 W. Center Street Promenade, Anaheim, CA 92805, 949-338-2806. TAPS Fish House & Brewery has opened its second Orange County location. The new venue is situated within the sprawl of The Market Place in Irvine. Like its sister OC location in Brea, the restaurant features a menu of steaks and seafood, accompanied by a deep selection of craft beers, including several selections made by their own brewery. The venue will also roll out brunch every Sunday. Lunch & Dinner daily, Brunch Sun. TAPS Fish House & Brewery, The Market Place, 13390 Jamboree Rd., Irvine, CA 92602, 714-619-0404. Sushi Roku, the popular Los Angeles-based sushi concept, has opened its doors in Fashion Island. As the name suggests, the venue serves up sushi and sashimi, along with an eclectic array of specialty rolls. The menu also features modern Japanese fare created with a California influence. Guests can round out their dining experience with a selection from the venue’s beer, wine and sake list. Sushi Roku Newport Beach, Fashion Island, 401 Newport Center Dr. Ste 327, Newport Beach, CA 92660, 949-706-3622. Stonehill Tavern, the flagship restaurant at the St. Regis Monarch Beach, is featuring a Tastes of the Ocean Discovery menu through July 31. Executive chef Raj Dixit has put together a six-course tasting menu highlighting various sections of the Pacific Coast and the bounty of flavors that it holds. Select dishes include Pacific Dungeness crab meat with sweet corn flan, porcini mushrooms and black truffle dashi; wild salmon with spring peas and cucumber; and caviar with cherry blossom meringue, birch syrup, sunchoke cream and single-origin vanilla bean. 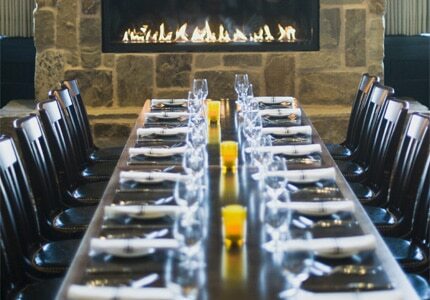 The cost of the menu is $165 per person, excluding tax and gratuity. 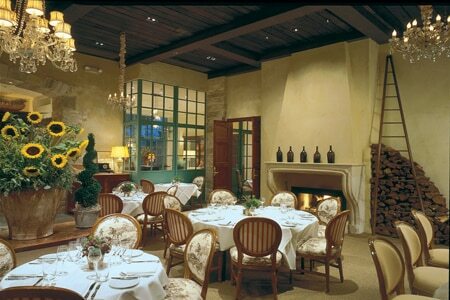 Stonehill Tavern, St. Regis Resort, Monarch Beach, One Monarch Beach Resort, Dana Point, CA 92629, 949-234-3200, 800-722-1543. Pinot Provence in Costa Mesa has closed its doors, after serving French cuisine for 18 years. The restaurant, which was located within the Westin South Coast Plaza, served its final meal June 19. No plans for a replacement venue have been announced. Pinot Provence, The Westin South Coast Plaza, South Coast Plaza, 686 Anton Blvd., Costa Mesa, CA 92626, no phone.